Yep! 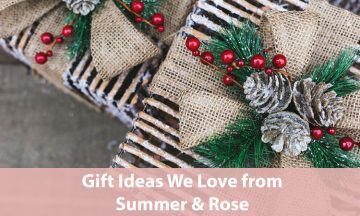 It’s time for gift guides and LOTS of time on Google and Pinterest as we search all over for cute but meaningful gifts for friends, hostesses, teachers, family, co-workers, neighbors… Yikes! We recently discovered Summer & Rose, a boho-chic accessories and lifestyle brand, inspired by Venice Beach vibes, and they bring you each season’s trends at affordable prices. So, we had to share a few of our favorites with you in time for the upcoming gifting season! Even better… you’ll get 20% OFF when you use our exclusive code: “SHANNON20“. A great body oil is crucial in winter. Hey, we actually love them all year round, but there’s something about stepping out of a warm shower when it’s cold outside and slathering on some goodness right before you slink into your warm, cozy PJ’s with some fuzzy socks… Can you tell we’re longing for cooler weather here in Florida?? We love the Summer and Rose Nourishing Body Oil not only for it’s price (under $30! 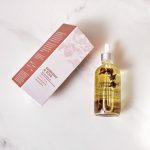 ), but also because of it’s nourishing ingredients like jojoba oil, rose petals, rose essential oils, and even blue tansy oil, which is known to help with troubled skin! If you want to splurge on yourself or upgrade your Secret Santa gift, check out the Relax & Hydrate bundle which not only includes the body oil, but also the Summer & Rose Body Scrub and the soothing Wintry Bath Bombs. Everyone needs baskets. For the kids toys, the dog’s toys, art supplie, books and blankets… A good solid basket can make ugly chaos into pretty chaos (all hidden from guests’ eyes!). And these basket trio sets (the Bailey, which is a watercolor-ish pink or the Brylin, which is a gray leaf print) are just stunning. 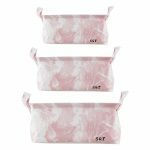 Their designs are so pretty, and reviewers left comments like, “I like how they have a lining on the inside that can be wiped off easily…” Not to mention the fabric is super sturdy, and did we mention you get THREE different sized baskets? You could break these up into separate gifts if you wanted, too, and make your own gift baskets filled with things like candles, throws, wine, etc. We love a thoughtful gift basket where we can actually keep and use the basket, too! Seriously, who can have too many scarves? This is the perfect gift for someone who is hard to purchase for or maybe someone you’re not especially close to yet but want to give them something cute and thoughtful. It’s practical, and the neutral colors will go with anything they would wear! 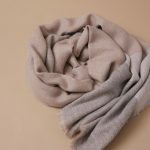 We love the Carlie Blanket Scarf for cold trips on a plane since it’s bushy enough to go over our mouths (and hide away from airplane germs! ), and it’s long enough to act like a blanket when we just want to snuggle up and rest before coming home! If you want to be a super mom gifter, you can throw in this Summer and Rose Ivy Beanie when giving the Carlie Blanket Scarf, but then we might just say you’re overachieving;) Really though, this beanie is really soft, and the slouchy look is great so “hat head” is minimal. Plus, we are really into gray anything at the moment. We’d say this is great for ladies on the go or your teens who like the hipster look (which Mom is fine with as long she stays warm!). 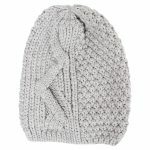 Not to mention, you can wear beanies in all kinds of weather somehow from hot to freezing to rainy, so this is an all-year type of gift that will keep giving from going to and from yoga class or just walking the dog! This might be THE cutest thing we include on this gift guide. 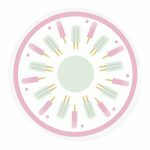 You may be temped to give this outdoor Claire Roundie (we love the Popsicle print, but there’s two others here and here) to your little girl or niece, but we guarantee you will want one. Oh, you may be asking yourself… what the heck is a “Roundie” in the first place? Think beach towel meets outdoor blanket. Bring it to the park, the beach, the backyard… it’s perfect for pictures when it starts to get maybe a little warmer outside, but don’t count out giving this to someone who will be escaping the winter blues and going on vacation somewhere tropical! For $20, we say get one for both you and someone else. We may be on the East Coast, but we are LOVING this new brand and think you will, too! Whether it’s for you or someone else, fun out-of-the-norm surprises make special times with the ones we love that much more sweet! Don’t forget… get 20% OFF when you use our exclusive code: “SHANNON20“. Happy Holidays from Team SML!